Tickets can be purchased on site at the event. 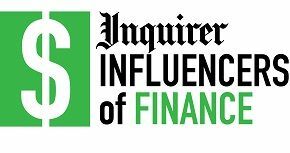 Join the Philadelphia Inquirer for a celebratory luncheon honoring Philadelphia's financial elite. In addition to being publicly recognized at the awards program, winners will be profiled in expanded coverage of the Sunday Business section on Sunday, February 24. The program will feature a thought-provoking panel discussion led by Erin Arvedlund, Financial Columnist at the Philadelphia Inquirer, highlighting FinTech (Financial Technology), an emerging industry that uses innovative technology that improves traditional activities in finance and delivery of finance. When: Thursday, February 28, 11:00 a.m. - 2:00 p.m.
Patrick T. Harker took office on July 1, 2015, as the 11th president and chief executive officer of the Federal Reserve Bank of Philadelphia. In this role, Harker participates on the Federal Open Market Committee, which formulates the nation's monetary policy. Harker has a Ph.D. in civil and urban engineering, an M.A. in economics, and an M.S.E. and B.S.E. in civil engineering, all from the University of Pennsylvania. Anthony J. Vitullo, CFO, Arora Engineers, Inc.
Vernon W. Hill, Chairman, Republic First Bancorp, Inc.